Keep reading to see the 10 summer fashion do’s to try! When it comes to fabrics, choose lighter options like cotton, rayon and linen. Breathability is key when the sun comes out to play! Try a fashion-forward ruffled top that skims your body. You can even wear it to work topped with a blazer or cute cardi. Clean white sneaks are happening this summer—and you can pair them with everything from jeans to sundresses to a mini. Cute and comfy! It’s shorts season, so pick one pair that fits and flatters you and stick with them. Going for cut-off denim? Try them on to make sure the length and cut is perfect for you. Summer’s the perfect time to find a new pair of sandals. Slide sandals are great for their comfort & ease (just like flip flops!). A bold color adds so much more style to your step and takes any summer outfit to the next level. 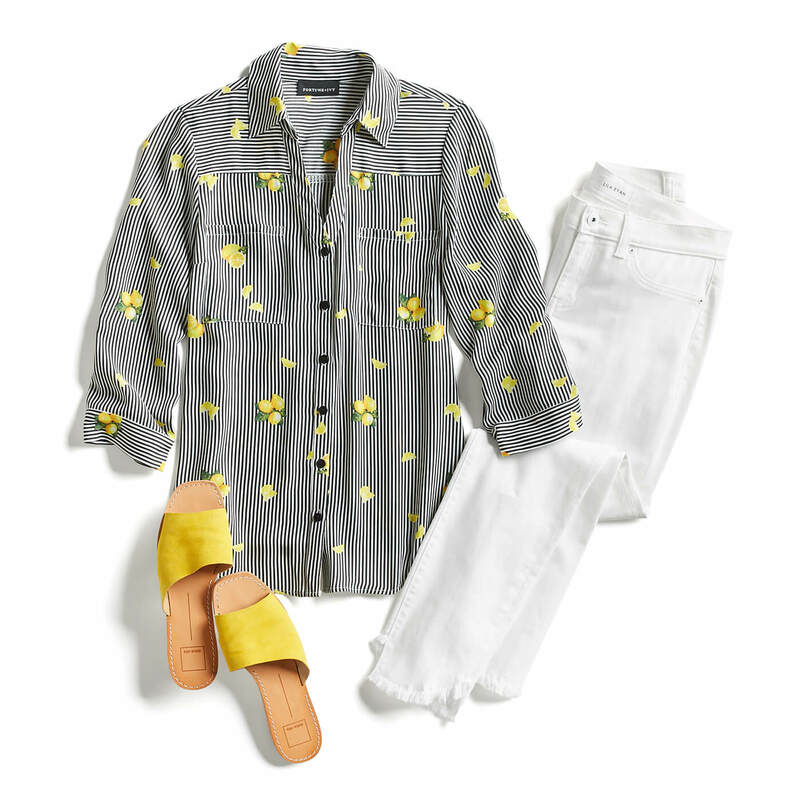 Distressed denim paired with dressier pieces results in a high-low look that is so fashion. Try your jeans or cutoffs with a flirty top, cute clutch and a pair of bright slides. Dare to bare—but it doesn’t mean you have to show everything! Strappy dresses are a way to stay stylish (and cool) without showing too much skin. Pair with block heel sandals and be ready for anything. Pick pieces with a serious punch of color like coral, blue or yellow for a fresh, summer look. Pair your summer brights with neutrals you already know and love. Summertime is packed with events. 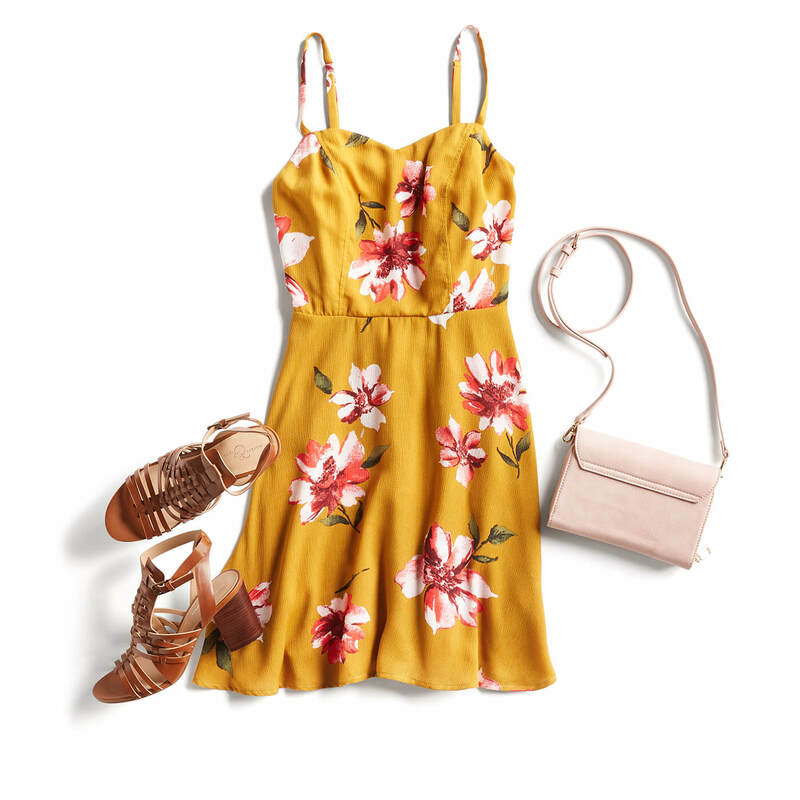 Try something new this year and show up to the next bridal shower, brunch or wedding wearing an in-your-face floral print or a splash of geometric pattern. You’ll be the talk of the town! When the temperatures rise, nothing looks cooler or more put together than crisp white denim. Try pairing any white pant or skirt with a top in a conversational print and a pair of bright slides. Instant Summer! What summer fashion do are you going to try? Tell us in the comments!